The Oak Ridge Graduation Celebration started at 10:00 PM on Thursday night, May 29, 2008, and ended at 5:00 AM the next morning. 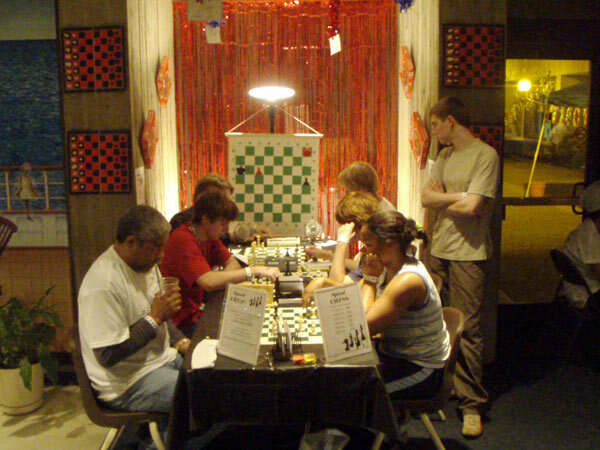 It was held at the Oak Ridge Civic Center. Volunteers from the Oak Ridge Chess Club helped Leonard and Keith man the chess table, where dozens of students tested their luck at Speed Chess. “There were a lot of good and bad chess players,” said Keith. 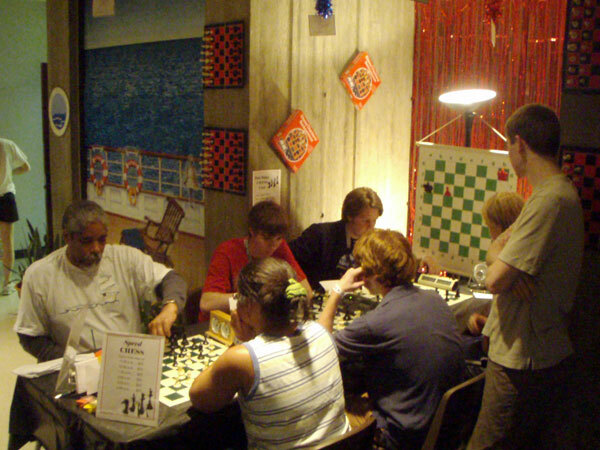 The organizer of the chess event, GKCC member Robert Poling, said that most of the students who challenged the volunteers played more than one game of chess. “One [student] played 18 games thru the night,” said Robert. Among the other events offered were scuba diving, games, movies, and sports. 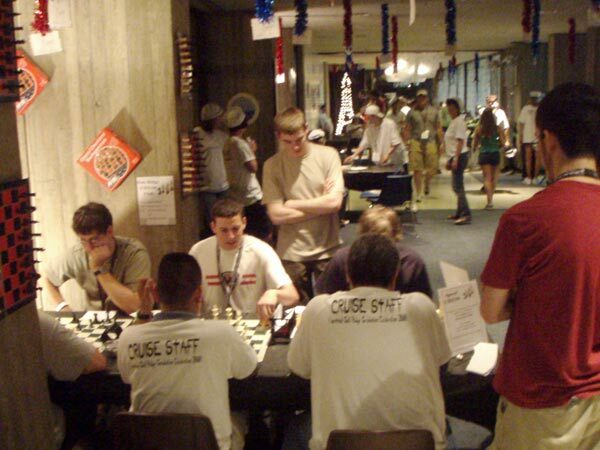 In addition to entertaining the new graduates, the chess event promoted the Knoxville and Oak Ridge chess clubs. Robert said he may add one or two more boards next year.